Dress up or down in these Bamboo Embrace ballet flats! This versatile style has a metallic fabric upper with layered detailing at the toe. 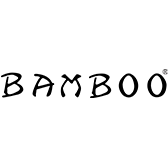 The Bamboo Embrace ballet flats have a lightly cushioned insole to keep you comfortable, whether you're running errands or hitting up the dance floor!